Beloved American icon and Grammy Award–winning musician Charlie Daniels shares wit, wisdom, and life lessons he has learned from traveling and playing across the country. 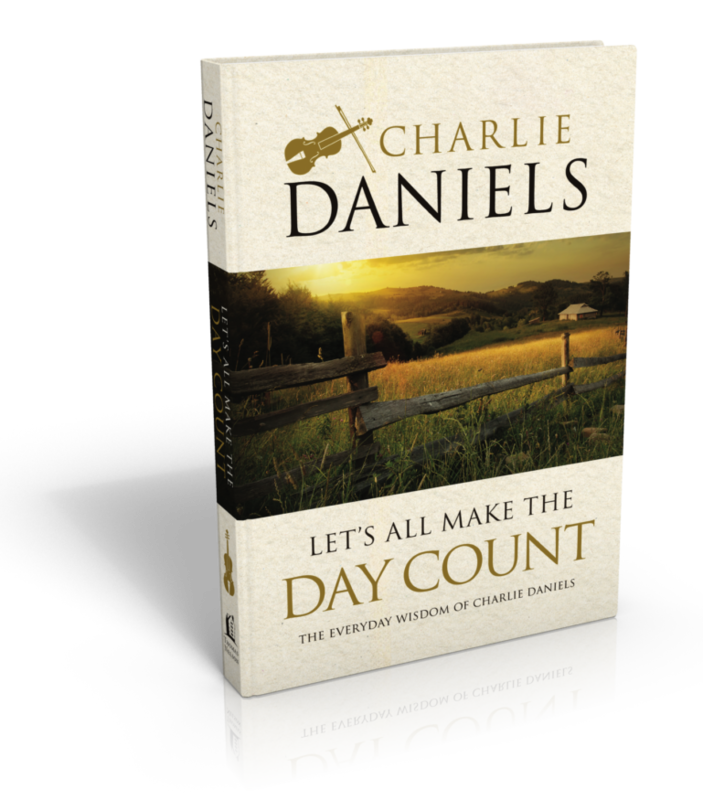 Through 100 readings with Bible verses and clever, pithy "Let's All Make the Day Count" statements, Charlie will inspire you with his positive attitude, timeless wisdom, and powerful spirit. Order before November 6, 2018 to receive a free download of Charlie's new song, also titled Let's All Make the Day Count! Few artists have left a more indelible mark on America’s musical landscape than Charlie Daniels. 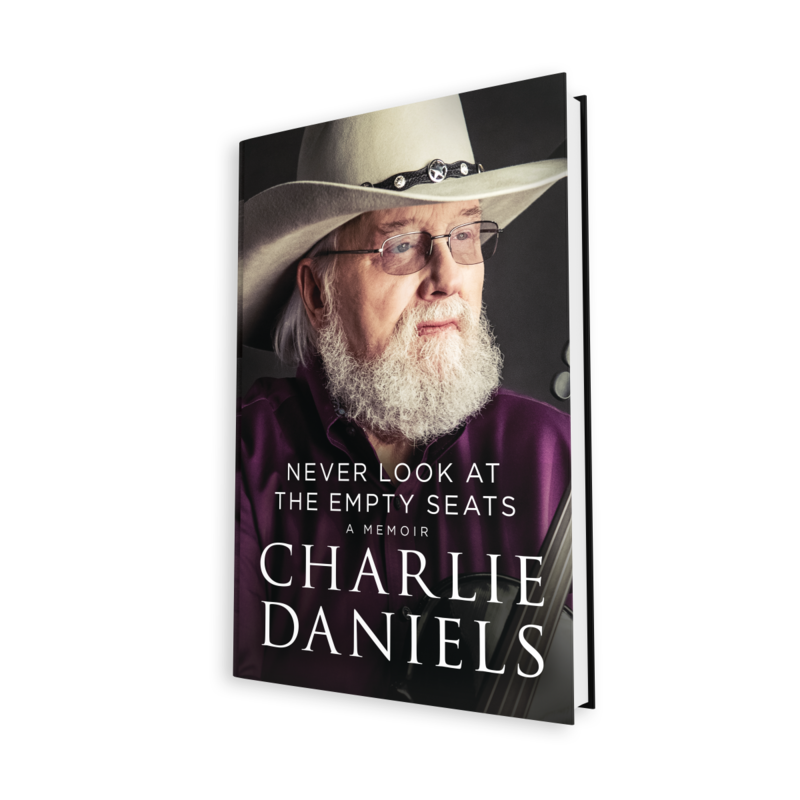 Readers will experience a soft, personal side of Charlie Daniels that has never before been documented. In his own words, he presents the path from his post-depression childhood to performing for millions as one of the most successful country acts of all time and what he has learned along the way. The book also includes insights into the many musicians that orbited Charlie’s world, including Elvis Presley, Bob Dylan, Willie Nelson, Tammy Wynette and many more. Charlie was officially inducted into The Country Music Hall of Fame in 2016, shortly before his 80th birthday. He now shares the inside stories, reflections, and rare personal photographs from his earliest days in the 1940s to his self-taught guitar and fiddle playing high school days of the fifties through his rise to music stardom in the seventies, eighties and beyond. 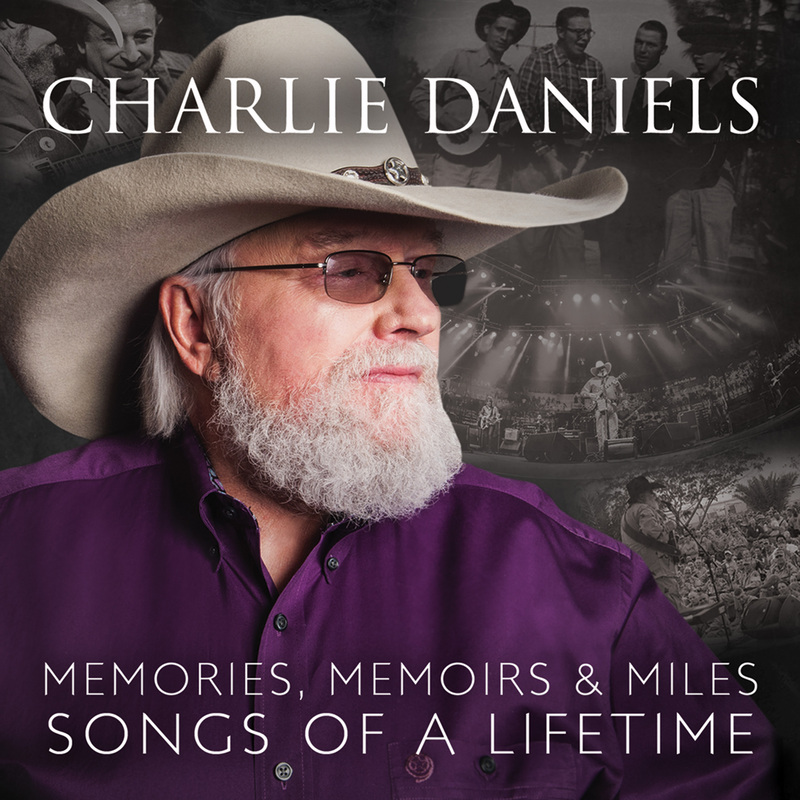 Memories, Memoirs and Miles: Songs of a Lifetime is a 12-track album dedicated to the man and friend who taught Charlie Daniels his first guitar chord, Russell Palmer. This album also features two bonus tracks: "Long Haired Country Boy" and "Still In Saigon." With a career spanning nearly 60 years and exceeding 20 million in sales worldwide Charlie Daniels is the quintessential Southerner with a healthy dose of Wild West Cowboy. For decades, he has connected with his millions of fans in the varying genres of music that reflect his steadfast refusal to label his music as anything other than the "Charlie Daniels Band" sound — music that is now sung around the fire at 4-H Club and scout camps, helped elect an American President, and been popularized on a variety of radio formats. Having celebrated multiple GRAMMY® Awards, CMA Awards, ACM Awards, BMI Awards, GMA Dove Awards, CCMA Awards, his list of accolades is broad; the latest being the newest inductee to the Country Music Hall of Fame. Six of his albums have been RIAA Certified Multi-Platinum® and he has achieved a platinum-selling single in his iconic fiddle-ridden hit, "Devil Went Down To Georgia." An outspoken American Patriot and strong supporter of the U.S. Military, Daniels' talked-about Volunteer Jam concerts are world-famous musical extravaganzas featuring artists like Lynyrd Skynyrd, Ted Nugent, Trace Adkins, Alabama and others, all on one stage for one purpose – to raise funds for our U.S. Military. Daniels 80th Birthday Volunteer Jam in 2016 raised funds for The Journey Home Project, a non-profit veterans assistance organization which he co-founded. For more information on Charlie Daniels, please visit www.charliedaniels.com.